You will find below the horoscope of Caroline Fourest with her interactive chart, an excerpt of her astrological portrait and her planetary dominants. Horoscopes having the same aspect Saturn trine Ascendant (orb 0°14'): Emma Watson, 14th Dalai Lama, Jared Leto, Marilyn Manson, Jack Nicholson, Emma Stone, Blake Lively, Yoko Ono, Bill Kaulitz, Andy Warhol, Stevie Nicks, Stephen Arroyo... Find all the celebrities having this aspect. Horoscopes having the same aspect Mercury opposite Jupiter (orb 0°58'): Barack Obama, Taylor Swift, Emmanuel Macron, Pablo Picasso, Kate Winslet, Stevie Nicks, Bill Cosby, Indira Gandhi, Thierry Cabot, Jeff Goldblum, Steve Carell, Asia Argento... Find all the celebrities having this aspect. Celebrities born the same day: Jimmy Fallon, Victoria Silvstedt, Jeremy Irons, Kavya Madhavan, Twiggy, Sanaa Lathan, Noémie Lenoir, Alexandra Vandernoot, Frances Farmer, Kushboo (actress), Mickey Mouse: creation, Alessandra Martines... List of all the celebrities born on September 19. Celebrities clicked on in real-time: 576,706,676 times. A graduate in sociology and political science, as a journalist she has written many books on such topics as the conservative right, the pro-life movement (France and USA), and on current fundamentalist trends in Abrahamic religions (Jewish, Christian, and Muslim). Here are some character traits from Caroline Fourest's birth chart. This description is far from being comprehensive but it can shed light on his/her personality, which is still interesting for professional astrologers or astrology lovers. 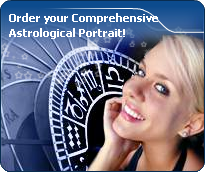 In a matter of minutes, you can get at your email address your astrological portrait (approximately 32 pages), a much more comprehensive report than this portrait of Caroline Fourest. Caroline Fourest, the diurnal South-eastern quadrant, consisting of the 10th, 11th and 12th houses, prevails in your chart: assertion and goals achievement are at the centre of your concerns. You are very keen to implement your dreams and your plans. You achieve your ambitions as soon as possible, whether through an active social life, highly charged friendly relations, or an urge to take actions in order to reap - in the eyes of the world, of course - the rewards of your dynamism. It is likely that spirituality or humanitarian actions are part of your motivations, sometimes at the price of some degree of isolation. The predominance of Water signs indicates high sensitivity and elevation through feelings, Caroline Fourest. Your heart and your emotions are your driving forces, and you can't do anything on Earth if you don't feel a strong affective charge (as a matter of fact, the word "feeling" is essential in your psychology). You need to love in order to understand, and to feel in order to take action, to the detriment of a certain vulnerability against which you should learn to fight. Caroline Fourest, Fire is dominant in your natal chart and endows you with intuition, energy, courage, self-confidence, and enthusiasm! You are inclined to be passionate, you assert your willpower, you move forward, and come hell or high water, you achieve your dreams and your goals. The relative weakness of this element is the difficulty to step back or a kind of boldness that may prompt you to do foolish things. The Mutable mode is the most emphasized one in your natal chart, Caroline Fourest, which indicates a mobile character that is curious and thirsty for new experiences and evolution. You are lively and flexible, and you like to react quickly to solicitations, but don't confuse mobility with agitation, since this is the danger with this configuration - and with you, stagnation is out of the question. Security doesn't matter as long as you are not bored. You optimize, you change things, you change yourself... all this in a speedy way. Your angular houses, namely, the 1st, 4th, 7th and 10th houses, are very emphasized in your chart, Caroline Fourest: according to the Tradition, they are the strongest and most dynamic houses. Should the rest of your chart concur, angular houses suggest that you are an enterprising, energetic and assertive woman. Indeed, angular houses are said to generate impulsions and to give a powerful and domineering personality. After this paragraph about dominant planets, of Caroline Fourest, here are the character traits that you must read more carefully than the previous texts since they are very specific: the texts about dominant planets only give background information about the personality and remain quite general: they emphasize or, on the contrary, mitigate different particularities or facets of a personality. A human being is a complex whole and only bodies of texts can attempt to successfully figure out all the finer points. Your sensitivity is all on edge, Caroline Fourest, and your emotions so deep, your imagination, so lively, that you are often found in the sweet realm of dreams. You create your own fantastical world with entangled fragments of current reality, romantic souvenirs and hidden hopes. Your receptiveness is so intense that it may border on mediumship or, more disturbing and rare, you may have hallucinations. Your character fluctuates according to the stimulation of the moment but in general, you are a nice person, full of gentleness and romanticism, always ready to understand and to dedicate yourself. You have real healing powers, would it be only through your ability to instinctively understand other people's sufferings. Your affective structures can be likened to a roving radar. You are vulnerable, hurt by the slightest aggression and easily influenced because you are unable to step back from people and events; therefore, you may start to be doubtful and lose the self-confidence that you so badly need to progress. You are so proud and generous, Caroline Fourest, that the power of your love contains in itself your vulnerability. However, this is precisely what makes you charming and original. You are loyal and straightforward and you need to love as much as you need to be loved. Both feelings are tightly linked and there is a real danger that love is broken up by trivial misunderstandings, just because your touchiness is affected. You are demonstrative, brilliant, and even dramatic, with a legendary generosity. For you, everything is, or must be, excessive: gestures of love towards your partner, your presents, your comfort and the luxury, which marks your outings and your travels. You are physically a lion, at least, you have its sexual appetite; you are voluptuous and passionate. Flexibility is the only thing that is out of your reach, in the ways you show your love, as well as in your responses to annoying events. The ruler of the Ascendant, Caroline Fourest, is Pluto. It is posited in the sign of Libra and endows you with diplomacy and a deep sense of justice. Amiable, courteous, and moderate, nothing pleases you more than being able to help opposing parties reconcile, which encourages you to develop your power of seduction, or to flee with swiftness when you deem that the cause you stand up for is a lost cause. Caroline Fourest, your mental activity is exuberant. Ideas are buzzing at high speed and you have the ability to think of several different things and to simultaneously process them. You are less interested in actions on the concrete or physical plane, because once you “see” a solution, its implementation is not that important any more since the crucial thing is that your mind remains bubbling with excitement. You are cerebral and curious and your sexuality is filled with fantasies, where pleasant ideas are mixed up with amplifying and enriching desires. Therefore, you are not simple but if your partner follows you, the stake is really worth it. Verbal jousting, the pleasure to debate and to discuss are continuous, with you. The only danger is to irritate people who may not have your swiftness or your sense of humour. This text is only an excerpt from of Caroline Fourest's portrait. We hope that it will arouse your curiosity, and that it will prompt you to deepen your knowledge of astrology, as well as to visit and use the wide range of free applications at www.astrotheme.com. Your Life Path is influenced by the number 5, Caroline, which indicates changing and off the beaten track destinies. Your activities are varied and placed under the sign of adaptability, and multiplication of resources. More than anyone else, you need to enhance your learning capacities and the broad-mindedness. You must cope as well as you can with changes and transformation occurring in your life. Indeed, Life Path 5 brings about destinies which are prone to twists and turns, as well as to upheavals. Therefore, your life's main orientation may vary considerably at certain stages, and if your destiny is that of adventurers whose course is fraught with obstacles, it may also turn you into an exceedingly unstable person through lack of nuance. You accumulate experiences and enrich your know-how with each crucial period. Your adaptation skills enable you to go through all the successive stages of your life without ever being destabilised by new situations.